Content marketing is a modern-day online marketing strategy that you just can’t avoid. It is, in fact, one of only the few online marketing methods that are still working and generating great results in terms of credibility, traffic, and leads for online businesses. Seth Godin, the modern-day marketing guru, says that ”content marketing is the only form of marketing that is left. And, despite all these wonderful facts, you wonder why content marketing isn’t working for you. The problem isn’t that you, your business, or your product isn’t good enough. The problem is that you do not have a proper content marketing strategy. And if you are thinking “I already have a content marketing strategy”, it may just mean that you have the wrong content marketing strategy. The proof that you are still failing is the very evidence of that. 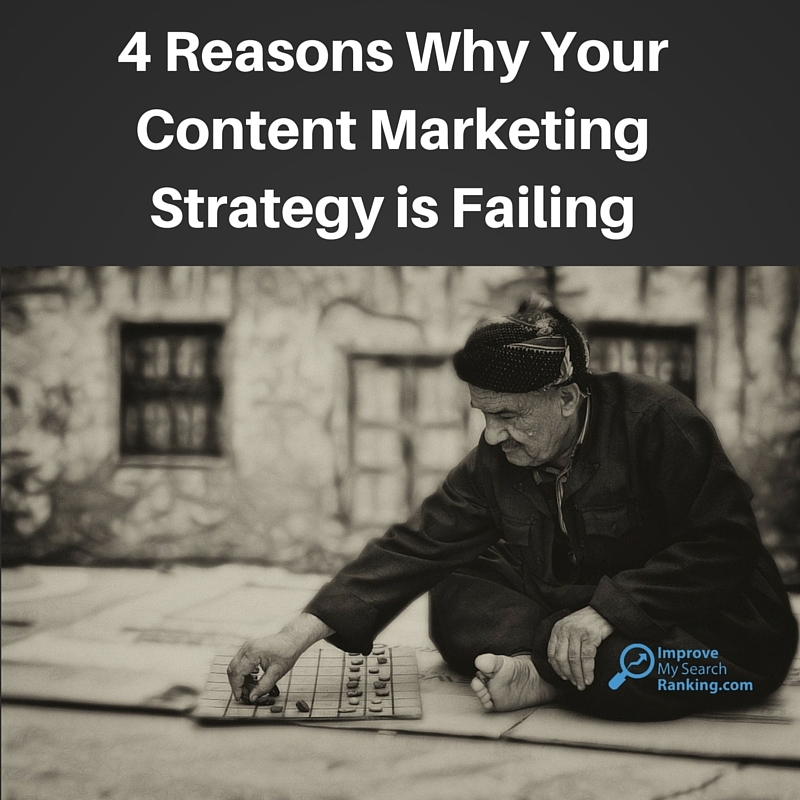 Here are a few reasons why your content marketing strategy might be failing you and your online business. No, we are not going to count the strategy that you have in your head. It must be properly written and documented. You will be surprised to see that so many content marketers and digital businesses do not have a properly documented strategy. 8% of B2C marketers are unsure of their strategy. 15% do not have one. 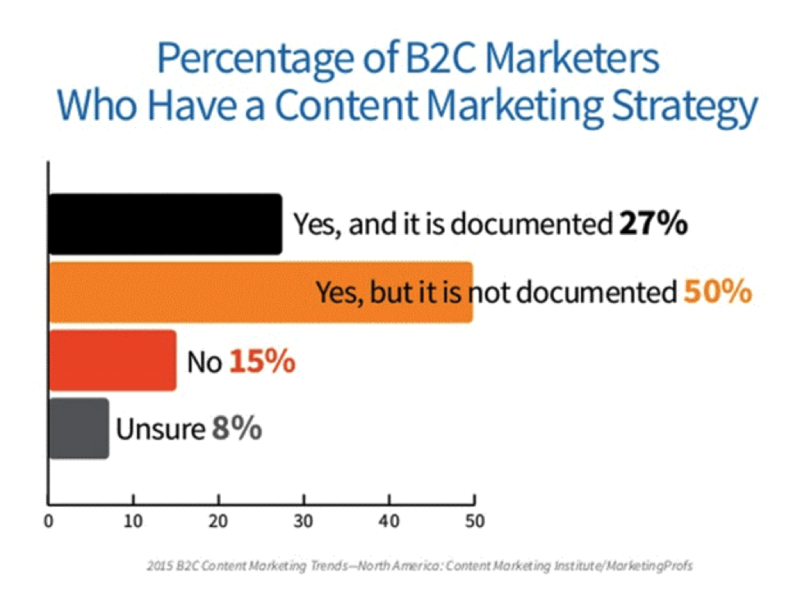 And 50% say that they have a content marketing strategy, but it is not documented (and we all know what that means). You need a proper content marketing strategy to kick-start your online campaigns. The entire purpose of content marketing is to reach out to your target audience and educate them about your niche, industry, and products or services. But what if you are preaching the wrong people about the wrong topic? No matter how good your content is, it will never be successful if it is not reaching the right group of people. What are their deepest wishes and desires? What keeps them up till the middle of night? How can you, your content, and your products solve their problems and simplify their lives? How are the other products in your industry not serving them? As the HBR article says above, ”the trail always begins with the customer”, knowing your potential customer is the first step to success for your content marketing strategy. Forget about your content strategy for a minute here. Your business must also have a sales funnel — which is an absolutely essential part of your online business. The content strategy — or simply speaking, the content you create on a regular basis — must align with that sales funnel. Otherwise, you’d be trying two different things and none of them will work. Your content marketing strategy and the sales funnel of your business should work with each other. If you are not generating leads via your content, you are simply wasting your time, efforts, and resources. It is true that there is no shortage of content on the web. However, there will be always some shortage of good content on the web. Exploit that gap, provide your blog readers with high-quality content, and convert them into leads. Take those readers to the next step by asking them to subscribe to your email list. Email marketing is the most profitable medium online with a 4300% ROI. Do not waste your valuable traffic, or your content marketing strategy will never be successful.